For guys a haircut can be a big deal, it’s not just us ladies that worry about what it’s going to turn out like or where to go. 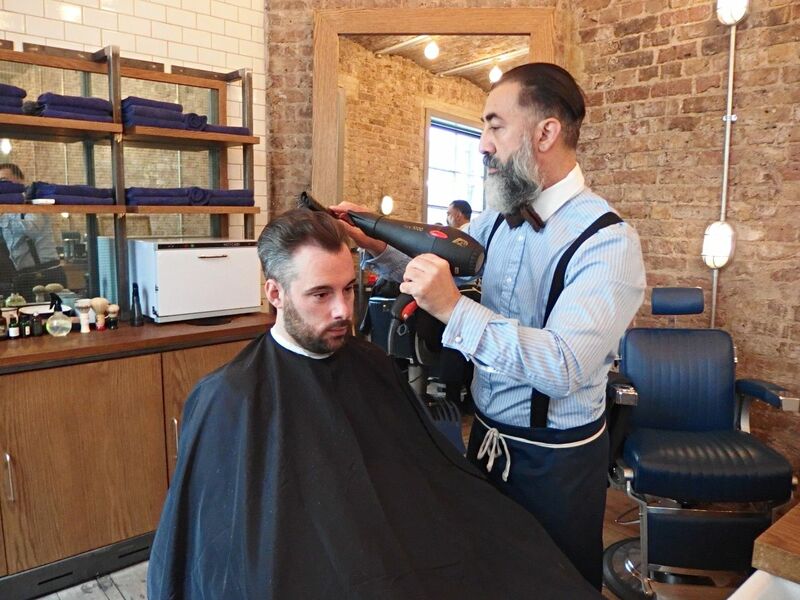 In London there are hairdressers and barber shops a plenty, but most hairdressers can be too feminine and barber shops can be small and well sometimes scary! So when Ruffians came up on my radar, I knew Danny had to try it. 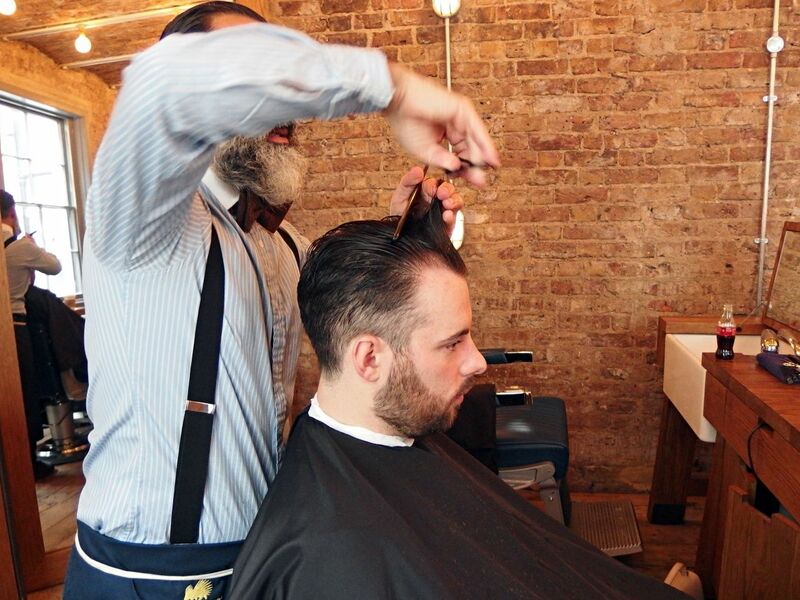 Ruffians originated in Edinburgh when founder Andrew Cannon wanted to develop a barber shop for guys that was all about the experience and that’s exactly what you get from Ruffians. 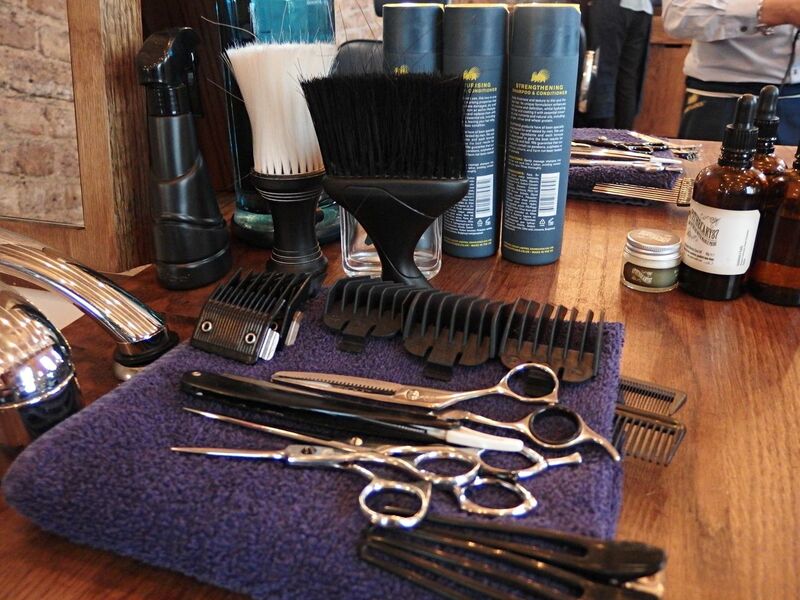 Based in its central location of Covent Garden the barber shop has got all aspects covered. As soon as you walk in you certainty feel at home and not intimidated in the slightest. Hang up your coat in the lockers, take a seat by the fireplace and enjoy a beer, gin and tonic, coffee, tea and a Tunnock’s teacake, whatever takes your fancy. Ruffians team up with various drinks brands so you will always have something a little bit different to choose from. 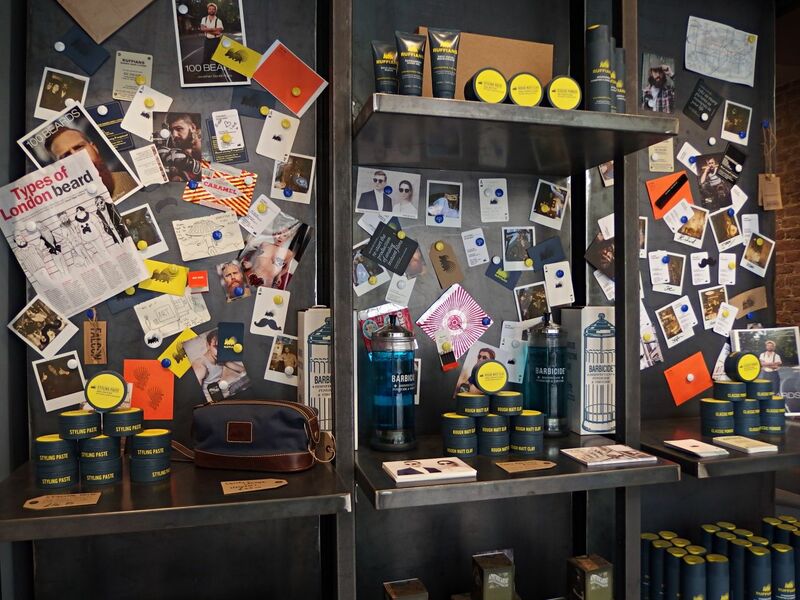 They also have their own selection of hair products which you can see as soon as you walk in. 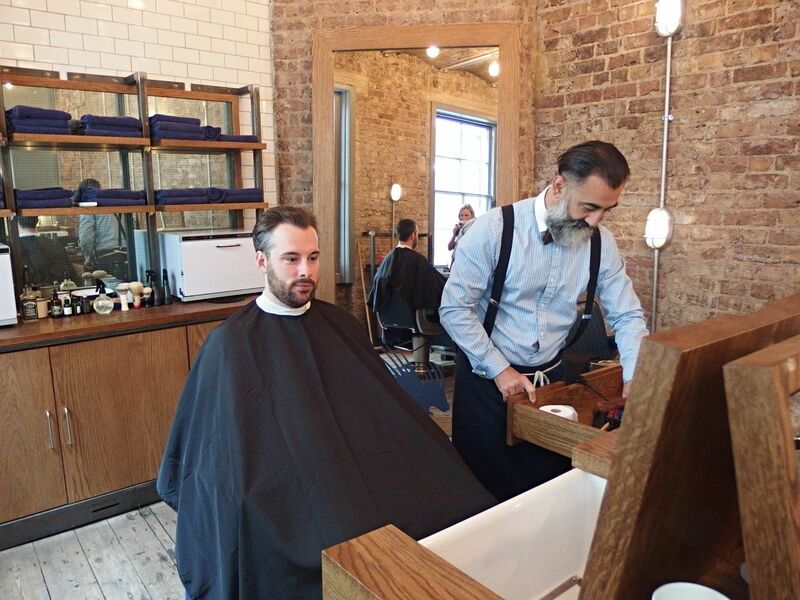 The open plan space is filled with barber chairs, mirrors and sinks at each station. 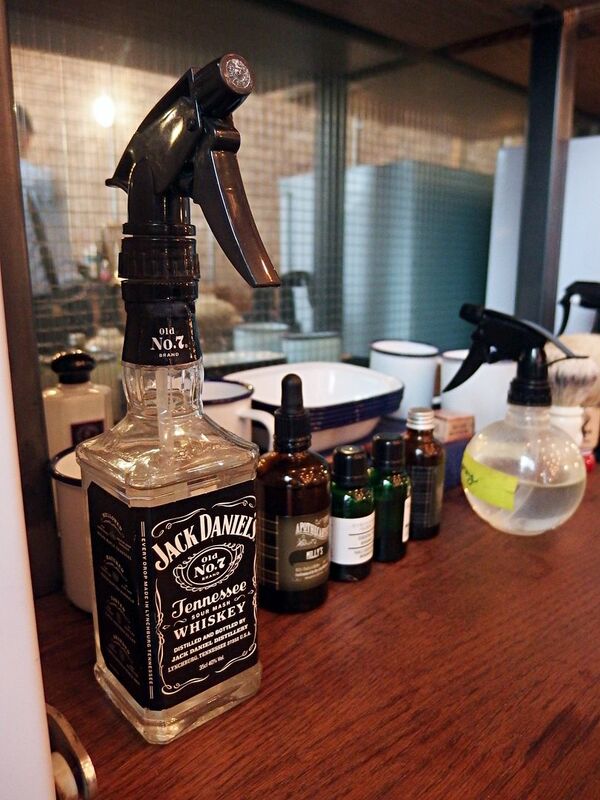 Which is less common amongst most barbers and salons these days. 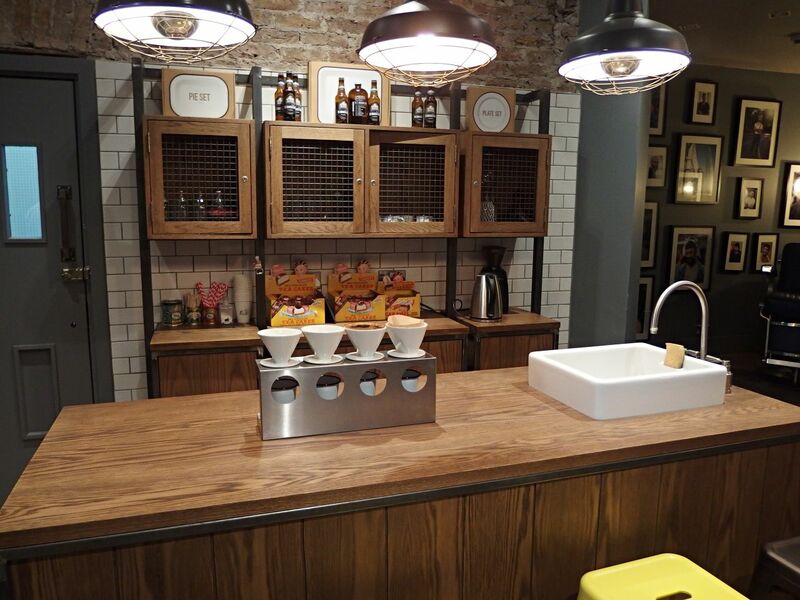 The sinks are used for the forward wash which was the very traditional way of a barbershop to wash your hair. I am so used to seeing the sinks that go backwards, so it was unfamiliar to see this type. They also have a separate room where guys with longer hair can lie back and have their hair washed. 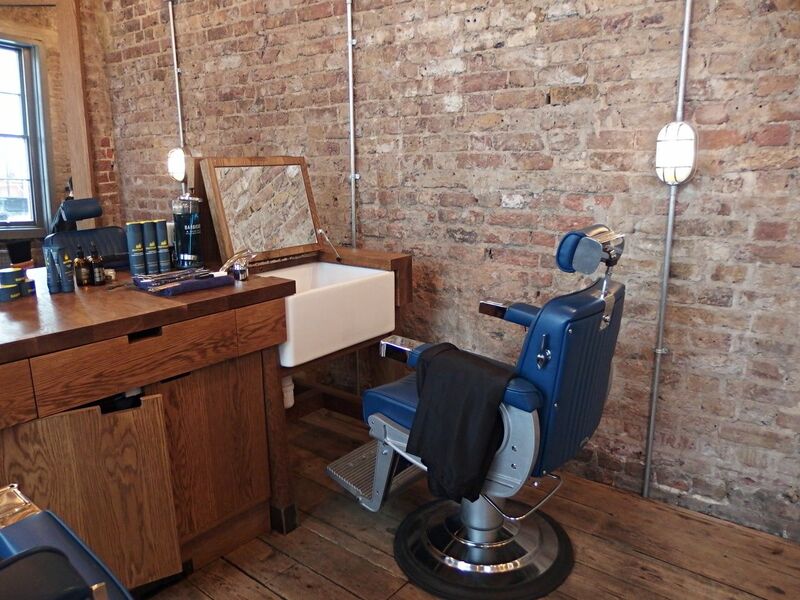 At Ruffians they offer haircuts, a cut-throat razor shave, a beard tidy and a moustache trim. Danny was going to be sampling the cut and his barber for the day was Hari. He wanted just to tidy up his hair and get some advice on a style as he hasn’t been as happy with his previous cuts from other places. Hari was very personable and asked how Danny would like it, when and where he last had it cut and why he wanted a change. He also had some interesting chat moving away from the typical barber talk which is always good. The cut involved a shampoo and wash, head massage, cut, blow-dry and styling. 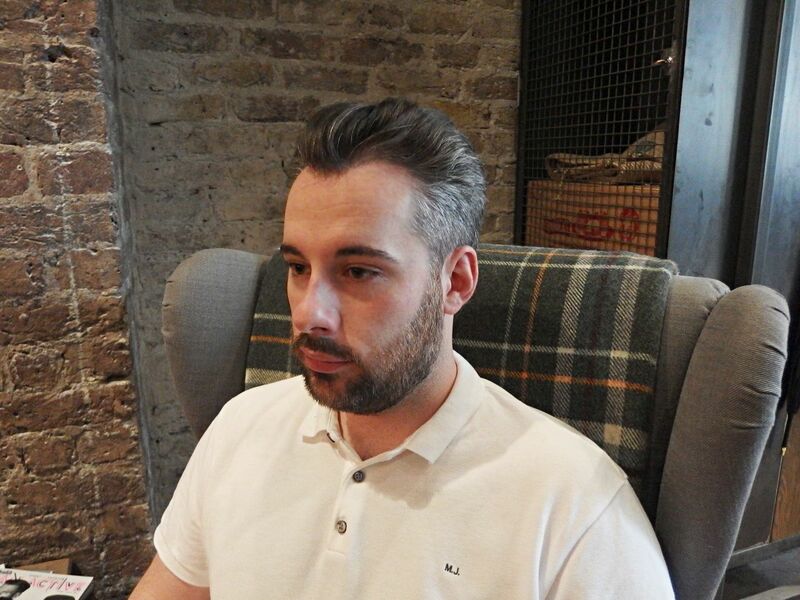 Danny was very happy with the advice offered on products and the personalised styling tips. Look out for the built-in hoover system that gets rid of any stray hairs! Overall the experience was very personable, metro-masculine and enjoyable. 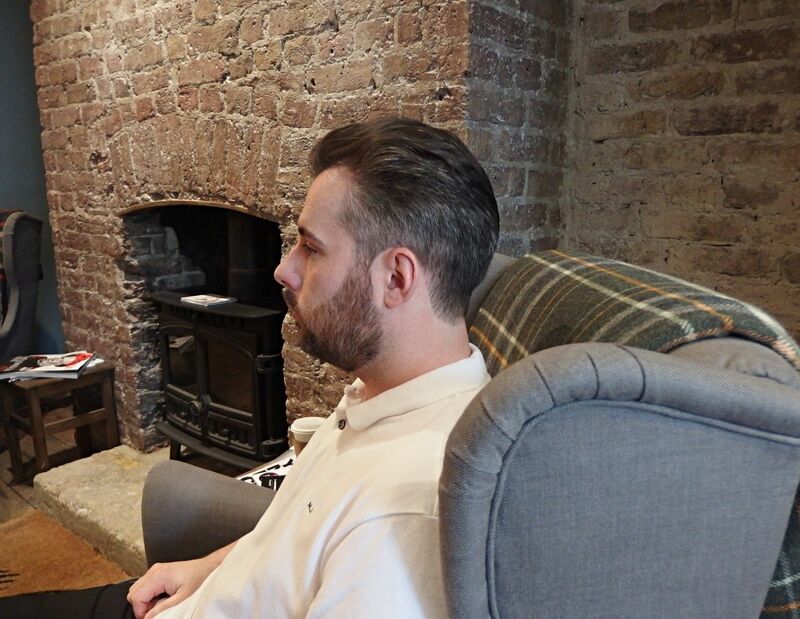 Danny was very happy with the finished style and for £45 it was reflected on the quality of the cut. Everything has been thought out so well down to the playing card style price lists. 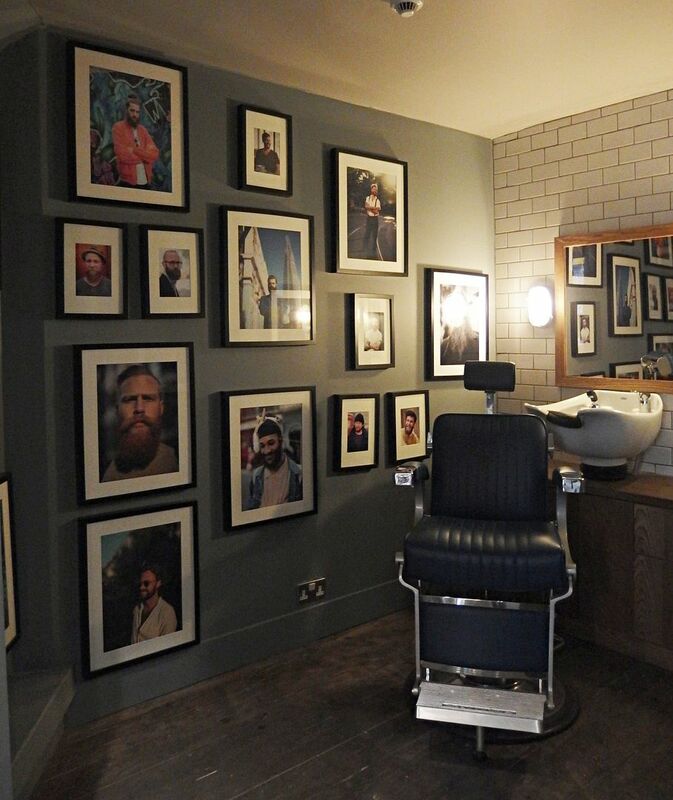 For a barber shop to be able to create a unique environment like they one they have is fantastic. I wish they did girls hair now. 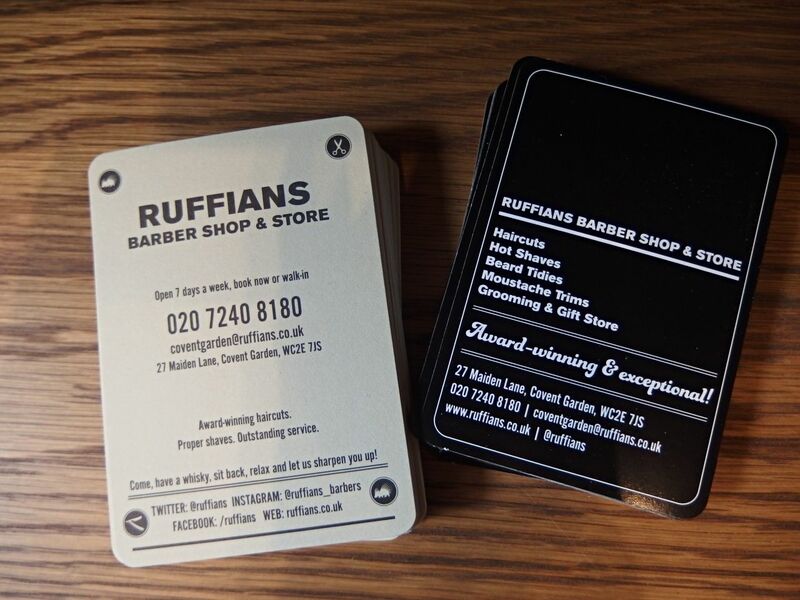 For more info on Ruffians and to book in visit ruffians.co.uk.